Wendy Whelan - Illustration for a the farewell ballet performance by Wendy Whelan. The Unknown Known - Illustration for the cinema review of Errol Morris's documentary. Gone Girl - Illustration for the cinema review of David Fincher's "Gone Girl." Alexander Payne - Illustration for a profile of "Nebraska" director Alexander Payne. Jurassic World - Illustration for the cinema review of Robert Zemeckis' "Flight." Mexican Manifesto - Illustration for a short fiction piece by Roberto Bolaño. Doctor Who - Illustration for an article on Doctor Who for The New Yorker Sci-Fi issue. 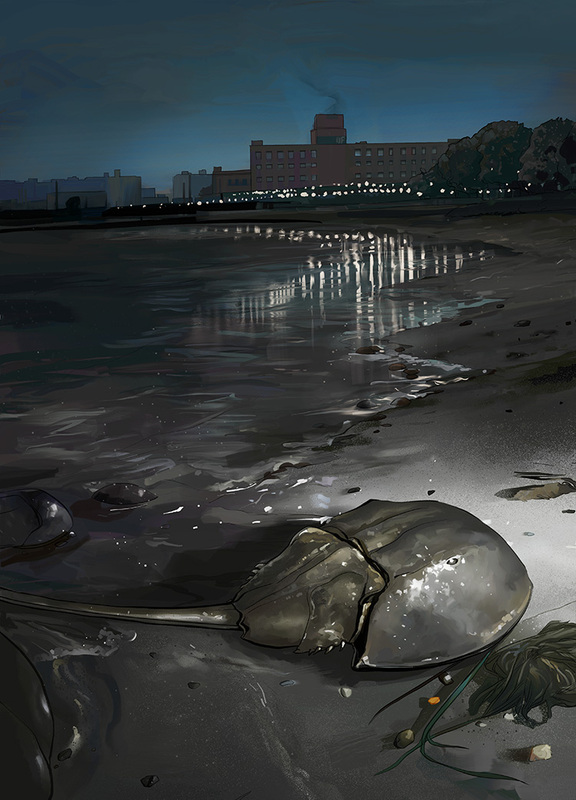 Blue Bloods - Illustration on the secret lives of horseshoe crabs. P. K. Subban - Illustration for a feature on Canadian hockey star P. K. Subban. The People vs. O. J. Simpson - Illustration for Emily Nussbaum's piece on 'American Crime Story: The People vs. O. J. Simpson' for The New Yorker. Philip Seymour Hoffman - Portrait of the late Phillip Seymour Hoffman. John Carter - Illustration for the cinema review of Andrew Stanton's "John Carter." Her - Illustration for the cinema review of Spike Jonze's "Her." Tomorrowland - Illustration for the cinema review of Brad Bird's "Tomorrowland." Jurassic World - Illustration for the cinema review of Colin Trevorrow's "Jurassic World."